Thank you for this report. I thought the most remarkable passage in the judgment was at para. 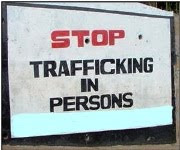 289, where the Court imposes a duty of effective cooperation with any investigation of human trafficking by one Contracting State on all other Contracting States. But I missed para. 284 and its somewhat sweeping requirements on the regulation of sensitive businesses and immigration. So thank you for pointing that out. Just one question: I was under the impression that the Court had applied Article 5 in its negative aspect, after holding that the police had actively cooperated and thus acquiesced in the deprivation of liberty. After all, if the Court had relied instead on the positive obligation of protection, it could not have found a violation simply because the deprivation of liberty had not been "lawful" (Article 5(1)). Do you agree? As to the deprivation of liberty, there is a difference between the detention at the police station and the acquiescence in detention by the third party. For the latter, a positive obligation to protect individuals against arbirtrary detention by third parties is engaged (para. 319). Thank you for your pointer to para. 319. I have to say I find the reference to positive obligations there somewhat puzzling. Certainly, the words "in particular" do not help much, and the precedent cited makes no reference to the State's positive obligations. But my real problem with the invocation of positive obligations is a constructive one: in positive obligations cases, the lawfulness of the private conduct complained of generally does not matter; the 'established by law' clause as in Article 8(2) or the word 'lawful' in Article 5(1) do not apply. For instance, in complaints against noise from Heathrow airport (Powell and Rayner; Hatton and Others), it is irrelevant if that noise is lawful or not. Certainly, there is no violation of a positive obligation simply because a private person had no lawful authority to do what it did. What matters is the severity with which private action impacts on the Convention right at issue. In Rantsev, the Court held, even as regards the detention of the applicant's daughter in the flat, at the behest of M.A., that this detention was unlawful and Article 5 had therefore been violated. Also, in a positive obligations case, one would have accepted analysis to the effect that the police had failed to do something. In holding instead that the police had actively acquiesced in the detention by M.A., the Court goes well beyond that, and to my mind suggests an attribution argument (cf. also Costello-Roberts v. UK). Admittedly, the (short) lawfulness analysis could also be directed at the severity of the interference by the private actor, and hence at whether there was a positive obligation, on the facts of the case, to step in. The argument in that respect would be that the State must step in against any arbitrary detention, and that the arbitrariness of this detention therefore implied a violation of this positive aspect of Article 5. But, on the whole, I find this passage far from clear. Indeed, the words 'in particular' in para. 319 may well suggest that the Court was not entirely sure, either. In that sense, Rantsev may be like the plethora of Article 8 cases in which the Court has declined to decide if Article 8 applied in its positive or its negative aspect. Once separated a trafficker may sell the individual to another or force them to work off "travel debt" such as transportation, food, and housing. This debt is at astronomical interests rates, which accumulate daily, and can never be paid off.